I'm back from Pasadena. I had a wonderful time taking in all the beautiful quilts showcased there. 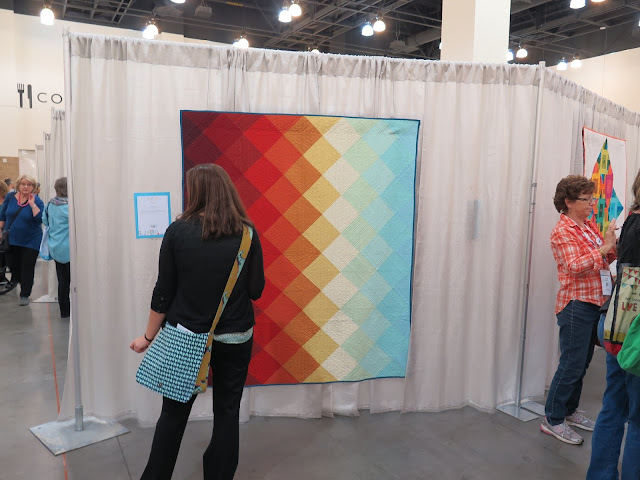 Even my mother, who claims not to have a creative bone in her body, enjoyed looking at the quilts. I encourage you to do a google search of this year's show, or click on the link to see an image search I've done. Almost as soon as I was unpacked I started working on my next quilt, Modern Stepping Stones. 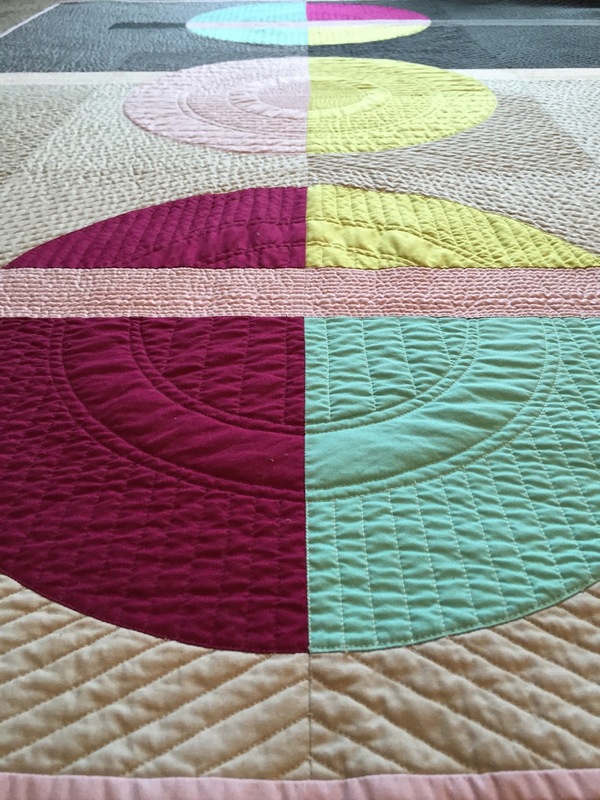 I really enjoyed making this quilt, I suppose that's why it came together so quickly. 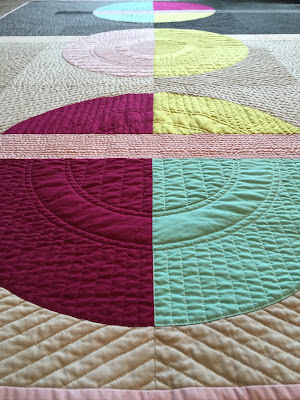 It got it's name for a couple reasons: 1) the circles look like stepping stones and 2) symbolically I feel this quilt and the last have been stepping stones into my quilty point of view. I really liked piecing this quilt. I love problem solving and this designed gave me the opportunity to work with a new technique. As usual, I quilted this on my domestic machine using a walking foot. 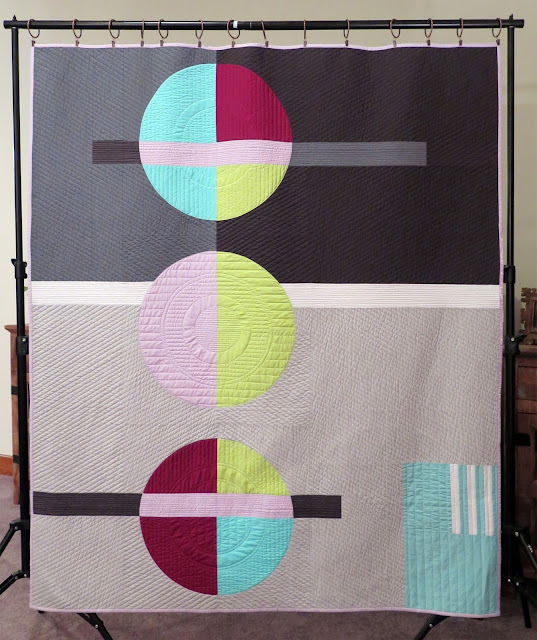 I was inspired by the quilting on the Eames Block Quilt by Lorena Maranon. 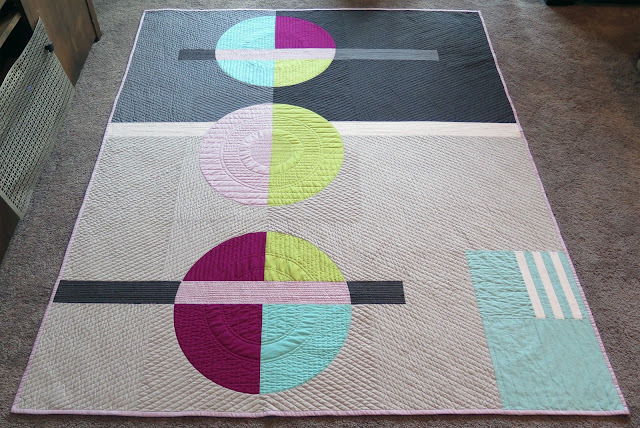 I love how the circles were quilted using a mix of straight lines and circles. 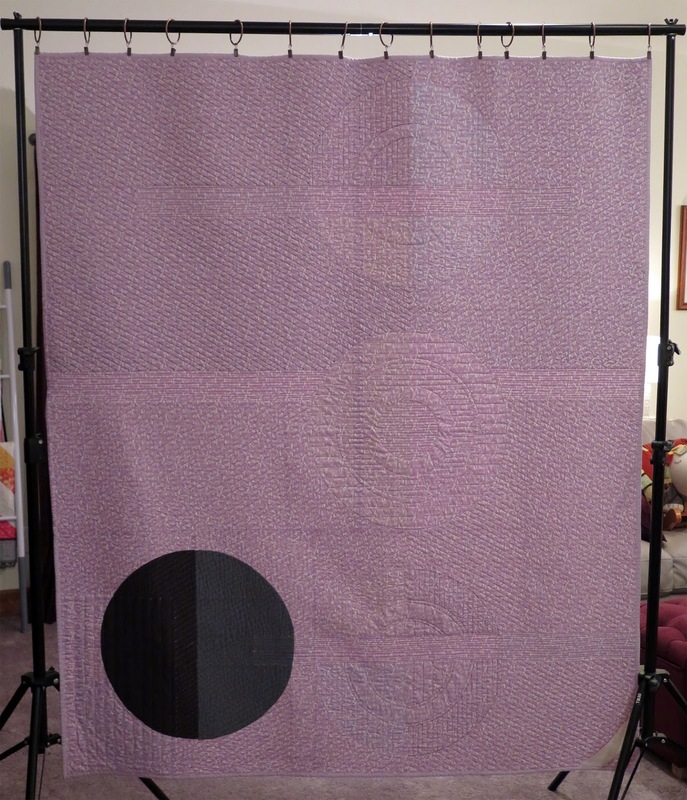 The backing fabric is Typography: Script in Lavender by Jessica Jones. The text reads, "the quick brown fox jumps over the lazy dog." I liked the juxtaposition of a classic typing drill with the bold modern graphic quilt top, it's also the right color. 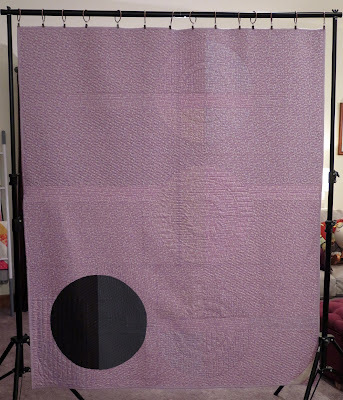 I'll have to take a break from "my" quilts and make some baby quilts. I have a niece and nephew arriving in the next few weeks!!! 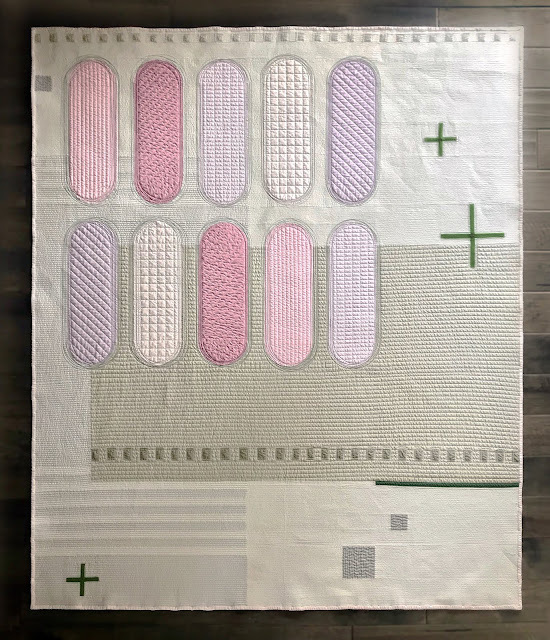 This is such a wonderful quilt design...so much movement and I really like the illusion of transparency. Gorgeous!! Thank you again, this quilt really set the tone for my whole year.